Celina Tent manufacturers a wide variety of high-quality tent solutions. 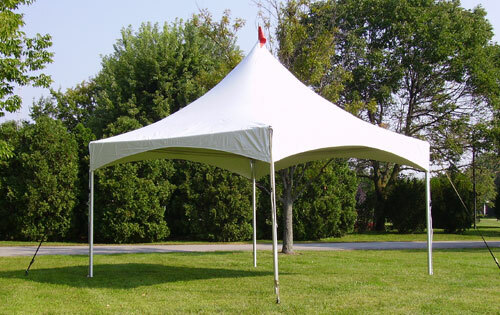 This sturdy frame tent is ideal for many settings and features an elegant high-peak design. The cast aluminum base plates and corner fittings provide tough and durable support, while the frame is built of 2 1/2" diameter heavy-duty anodized aluminum with 1/8" walls. The tent can easily be assembled by only two people within just a few minutes. Tension cross cables eliminate the need for a traditional interior frame, while the top is built of 16 oz blockout vinyl that has been heat-sealed for strength.